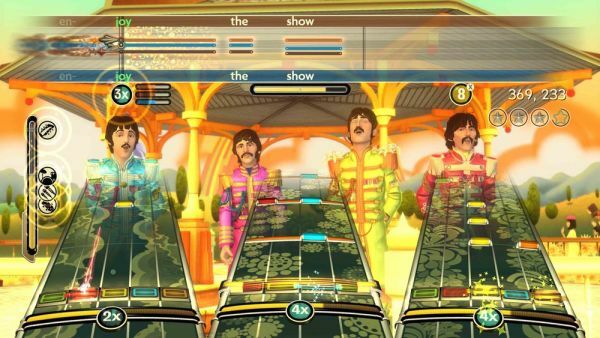 MTV and Harmonix have revealed all but one of the 45 available songs for The Beatles: Rock Band, the latest batch reveals 19 new songs. The songs are listed with their featured venues, from the Ed Sullivan stage to the Abbey Road Dreamscape. Also unveiled is the Rock Band Beatles Store, which opens for business on 9/9/09 with All You Need is Love for $1.99. They've also announced three full albums are going to be available to download; Abbey Road, Sgt. Peppers Lonely Hearts Club Band, and Rubber Soul. The Abbey Road album contains the 16 minute B-Side, which is also playable! Page created in 0.5124 seconds.